Copy and paste the text and banner (or make your own!) above for your own First Lines Fridays posts. The circus arrives without warning. No announcements precede it, no paper notices on downtown posts and billboards, no mentions or advertisements in local newspapers. It is simply there, when yesterday it was not. The circus arrives without warning. No announcements precede it. It is simply there, when yesterday it was not. The black sign, painted in white letters that hangs upon the gates, reads: Opens at Nightfall Closes at Dawn. 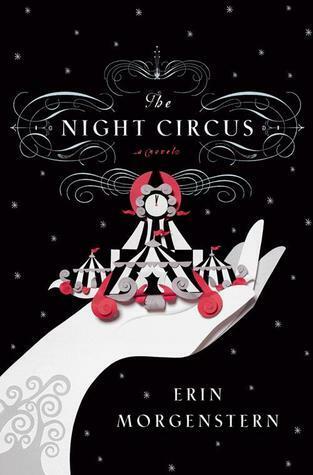 As the sun disappears beyond the horizon, all over the tents small lights begin to flicker, as though the entirety of the circus is covered in particularly bright fireflies. When the tents are all aglow, sparkling against the night sky, the sign appears. Le Cirque des Reves The Circus of Dreams. Now the circus is open. Now you may enter. Have you read this book? Have you ever chosen to read a book based purely on an extract? Share your experiences! Also, if you want to try First Lines Fridays yourself, comment your book teasers below, or just pingback if you write your own post, so I can check it out!